Arguably one of the most well-known communities in all of Southwest Florida, Miromar Lakes of Estero is home to both the #1 Community in the United States and the #1 Clubhouse as well. This esteemed community was also voted the Community of the Year and Best Clubhouse by the National Association of Home Builders, and it’s easy to see why. Miromar Lakes is the only Southwest Florida community that offers three of the most desirable Florida amenities in one stunning location – waterfront living, beach access, and golfing. While it’s usually easy to find one of these in any Southwest Florida community, to find all three is truly rare. For many that make the move to Southwest Florida, a home on the water is beyond ideal, though many assume that this dream is well out of their reach. Waterfront properties at Miromar Lakes, however, are plentiful along the communities more than 700 acres of freshwater lakes. And of course living right on the water means the enjoyment of endless opportunities and outdoor activities that include swimming, boating, fishing, and water-skiing. In addition to the property’s plentiful lakes and waterfront housing, the community also features three miles of private, sandy beach line – after all, isn’t the beach why you chose Southwest Florida in the first place? And if you prefer to spend your free time lounging poolside with a good book or cocktail, then it truly doesn’t get any better than a place by the pool at Miromar Lakes. Beach Club amenities at Miromar include access to the 10,000 square foot, zero-edge infinity pool, as well as full access to the Club’s Marine and Concierge Services. The golf course at Miromar Lakes is the only Signature course available in all of Florida from famed master architect Arthur Hills. With six sets of tees to play from, amateurs and experts alike will no doubt find a course to both challenge and inspire them. The course has been described as “7,400 square yards of heaven,” and features a 15-acre practice facility with a driving range and practice green, perfect for those in need of a brush-up before impressing their friends on the green. 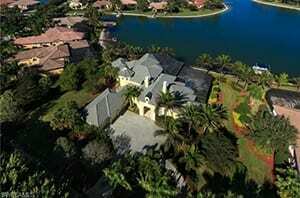 Miromar Lakes real estate is highly sought after in the Southwest Florida area, and properties tend to sell quite quickly after entering the market. 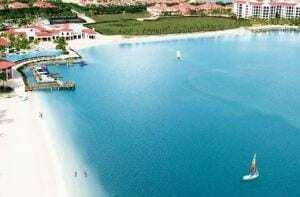 Those seeking homes in Miromar Lakes will find an abundance of villas, coach homes, condos, and luxurious grand estates, with prices starting in the 500,000’s and reaching upwards of 5 million dollars. If you’ve always dreamed of living in a home right on the water and surrounded by convenient amenities and activities to enjoy year-round, then check out Miromar Lakes today and discover why this community is consistently rated #1 throughout the United States!